Today, we’ll talk about SURT. The idea was good (see above for more details) and we decided to implement the SURT + Canonicalization algorithms to support legacy WARC/CDX files in the upcoming Aleph’s playback tool COBALT (in Erlang). While doing so, we conducted some side by side test comparison to make sure the two implementations’ results match. To do so, we used the CDX files generously provided by Internet Archives. 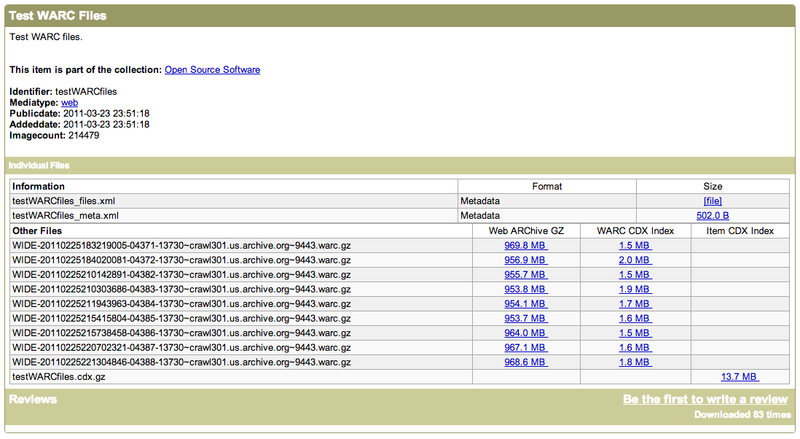 Please note that we are only interested in CDX files as they provide the SURT version of each archived URL. We found thousands of inconsistencies like these. Consequences: the SURT algorithm is central in the webarchiving replay infrastructure. The wayback machine indexes billions of URLs using this algorithm in files known as “index files” (CDX) that can rapidly grow to millions of lines (terabytes in size). The problem when a bug like the one outlined in this post appears, is that fixing the bug is not enough as thoushands of index files must be regenerated (a costly operation). 2. stick with the buggy API and its consequences: missing resources, bad dublicates detection of URLs, etc. Learned lesson: test your code/algorithms carefully, especially when they will be used as a base in other programs with high impact. Dr. Younès Hafri worked for the past 10 years on several Web Archiving projects worldwide including DLWeb, IIPC, Internet Archive, WWWoH (JISC), WARC-Tools, LiWA (European project), etc. After different positions at the National Library of France (BnF), National Audiovisual Institute (INA), Internet Memory Foundation (formerly European Archive), Hanzo ... he noticed a maket's need for an enterprise-grade Web Archiving solution. In 2009, he began working with his team on a new Cloud-based Web Archiving solution with a focus on archives quality: the CAMA® platform was born. Mid-2012, he launched the Web Archiving Bucket, an open initiative for national libraries and organizations to preserve Web data with free-to-use, production-ready archiving tools. Prior to that, he received a Master's Degree from the Ecole Centrale de Nantes and a Ph.D. in computer science from the Ecole Polytechniques de Nantes. Quote: "[..] my work implies driving technology innovation within the company and thinking beyond borders in understanding the wide arena of distributed systems (High-Performance and Low-Latency Computing, Middlewares, MapRed, Elastic DBs, Search Engines, Intelligent Crawling Systems) to preserve and replay online Web content for the future. My dream would be to interconnect all web archive collections around the planet, no matter what could be the odds. The access to this humongous treasure, will be freely granted in order to ensure the preservation of the internet memory! I am convinced that this may be a goal and not a dream." Archiving Twitter, not so easy!